UK Company Formation for Non-UK Residents? 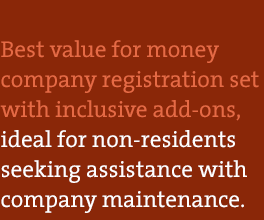 Company registration for non-residents is the same as for customers living in the UK. There are no restrictions on foreign nationals being a UK company director, shareholder or a secretary. You do not have to live in the UK. A company can be registered through our online company formation system, which is easy to use, simple and transparent and we can always assist you with any registration questions you may have. A limited company or an LLP can be set up on the same day, providing all supporting documents and information for submission to Companies House is provided to us beforehand. Why do you have separate company formation packages for non-residents? All our company formation packages for non-residents include a UK Registered addresses for the company (required by law) and courier service for the delivery of the incorporation documents overseas. UK residents do not require this, as many of them provide their own registered addresses. We also offer legalisation services (Notarisation and Apostilation) as an option not required by UK customers. 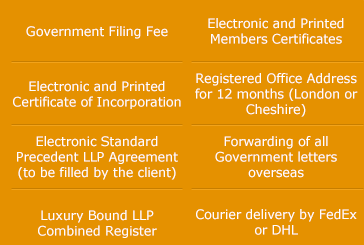 Not all orders placed by overseas clients are subject to VAT and our global formation packages cater for this. UK business bank accounts with cash back are not offered to non-residents. Many UK company formation agents are not transparent about this and many clients find out that to open a business bank account for their new company is a challenging task. Our company specialises in UK business bank introductions, but this service is only offered to clients who use our company formation services. Why do the prices for non-residents packages seem to be higher than others? All official mail received to the UK companies Registered address is scanned and can be posted by standard mail overseas if you require. The costs of scanning and postage of official mail is included in the package and therefore more expensive than mail distributed within the UK. We firmly believe that our packages for overseas clients are excellent value for money and very competitively priced, if compared like for like. The starting price placed on our competitors’ websites may not be the final price you pay by the time you check out. As we are Companies House authorised company formation agents, we are required to perform due-diligence checks on our customers, which come at a higher cost for overseas orders. For more details on this matter, you can refer to our FAQ section Why do you offer different packages for Non UK Residents and UK Residents? Why use our company formation packages for non-residents? 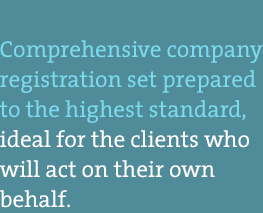 We specialise in company registration for overseas residents and have more expertise than many of our competitors, who mainly service the UK resident formation market. We understand the legal requirements and additional information frequently asked for by other institutions, for example, overseas banks. Our company is one of the very few who offers UK business bank introductions. We only offer it to our clients, as this is not a stand along service. 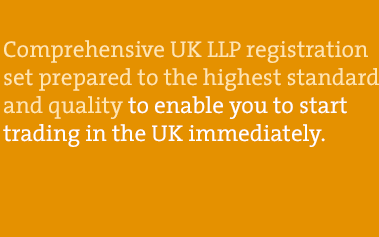 Why use UK Companies Limited as your company formation agent? 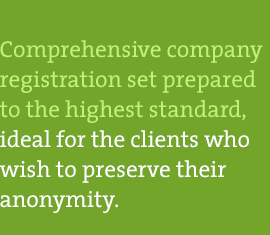 Our company has been accredited by Companies House to perform company registration services. We offer an extensive list of additional services, which can be added during your company formation process, for example: document legalisation (Notarisation, Apostilation, official signatures from Companies House), company stationary, mail forwarding, virtual office, Nominee Services. We also offer free introduction to accountancy and taxation specialists. You are in safe hands by using our company formation services.